Johnny Depp claims Amber Heard was the one who attacked him and says he has 87 security videos to prove it. Johnny Depp recently made a claim that he has submitted 87 surveillance videos as evidence to his defamation case against his ex-wife Amber Heard. The Pirates of The Caribbean star is suing his former spouse for defamation with regards to several pieces that she has written about alleged abuse from him. Depp has made a claim that he was the one being abused by Heard and maintained that Heard attacked him on several occasions, including one instance when he was attacked with a bottle of vodka. "The bottle severed (his) middle finger on his right hand and shattered the bones, causing him to require surgery." The actor also claims that she punched and kicked him on numerous other assaults. Depp's counter lawsuit bash the allegations made by Amber Heard against him as 'hoax'. Recently, legal documents descriptive of Depp's argument has found it's way to the public. Depp and Heard first crossed each other's path whilst filming The Rum Diary back in 2011 and enjoyed a longterm relationship before exchanging their vows in 2015. However, their marriage went to shambles shortly after and they got divorced in May 2016. Since then, their relationship has been scandalous with Heard filing domestic abuse charges against Depp that same month. Despite Depp denying the allegation, the pair settled their case in court for the sum of $7m, which Heard eventually gave off to charity. Then, the duo signed non-disclosure agreements relating to their relationship as well as the court case proceedings. Meanwhile, Depp is now suing Heard for $50m following an op-ed piece in the Washington Post back in late 2018 in which she made a revelation about domestic abuse she suffered. Although she didn't mention the actor's name, the person the allegations were intended at was completely in clear-waters. "The op-ed depended on the central premise that Ms. Heard was a domestic abuse victim and that Mr. Depp perpetrated domestic violence against her." "Have been conclusively refuted by two separate responding police officers, a litany of neutral third-party witnesses, and 87 newly obtained surveillance camera videos." Depp continues with the argument in his suit that Heard used the abuse scandal to aid her career in the prime of the #MeToo movement. "Ms. Heard also knew that her elaborate hoax worked: As a result of her false allegations against Mr. Depp, Ms. Heard became a darling of the #MeToo movement, was the first actress named a Human Rights Champion of the United Nations Human Rights Office, was appointed ambassador on women's rights at the American Civil Liberties Union, and was hired by L'Oréal Paris as its global spokesperson." "She will not be silenced. Mr. Depp's actions prove he is unable to accept the truth of his ongoing abusive behavior [...] But while he appears hell-bent on achieving self-destruction, we will prevail in defeating this groundless lawsuit and ending the continued vile harassment of my client by Mr. Depp and his legal team." 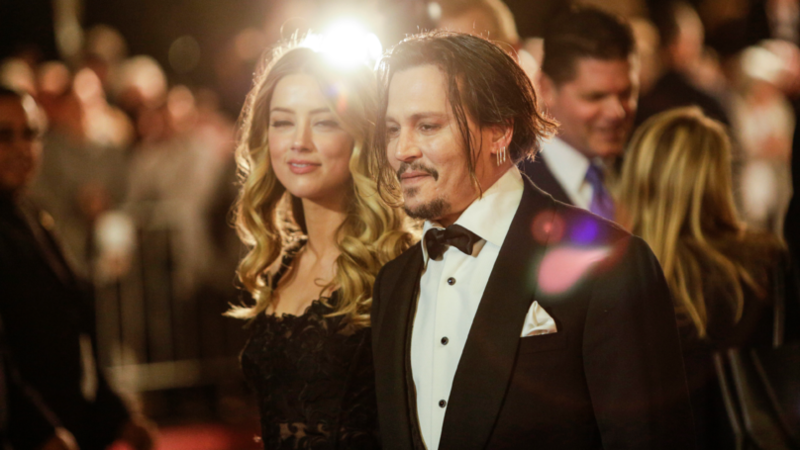 With the evidence provided by Depp, the case seems to be favored in his direction but nothing can be confirmed as of late as the former couple's cases are full of unpredictable twist and turns.